I hope your weekend is off to a great start, friends! I have a full weekend of dance rehearsals and performances. Catch ya later! Really adore your necklace and love your dress. I love paisley so much. And I love how you've paired it with the boots! 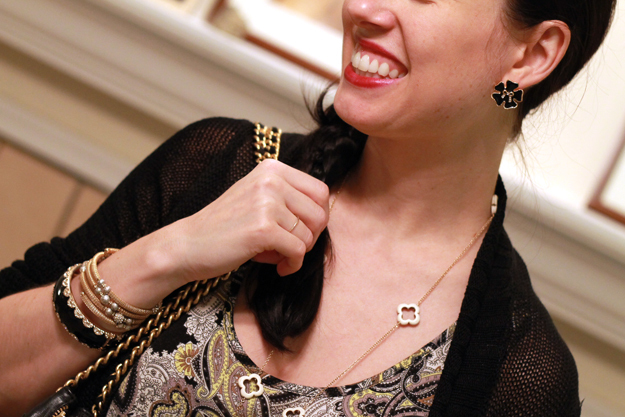 Love the dress and the necklace:) very impressive I must say. . Great post once again! Your jewelry is adorable I absolutely LOVE the necklace you made!! 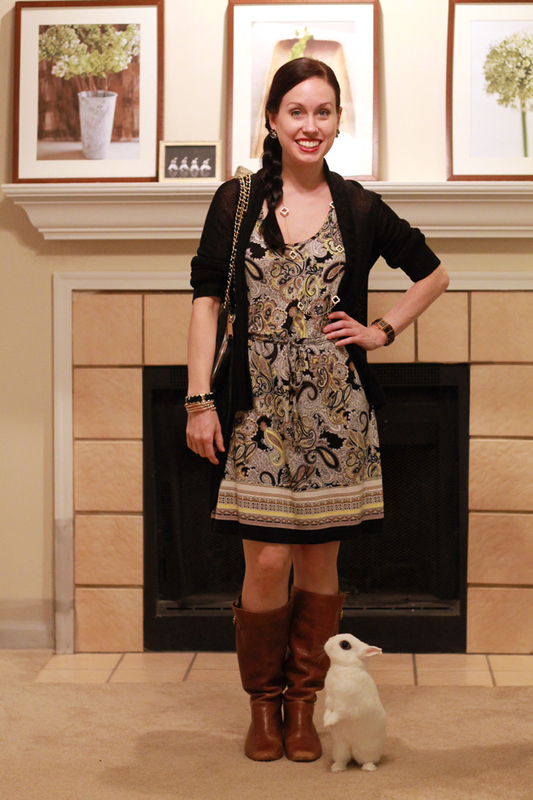 Super cute dress and your bunny is so adorable! love the entire look the paisley print of your dress is so beautifuL! xO! What a great look and your bunny is so sweet!